The Disabilities Trust is an amazing and important organisation that provides care and support to those with brain injury, autism and physical disabilities. Specialist residential, hospital and community based services are made available to those with very complex needs, resulting from brain injuries, autism and physical disabilities such as cerebral palsy. Their focus is on maintaining and maximizing a lifestyle as well as providing physical care to help promote independence. 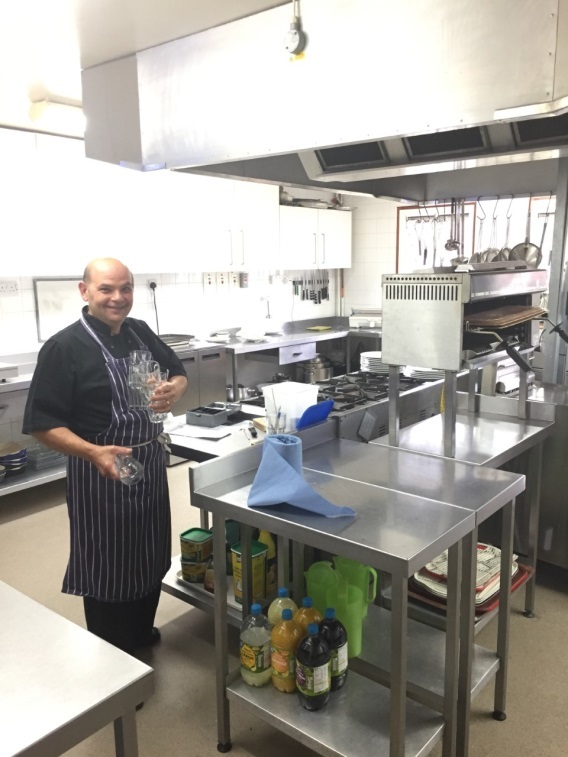 The kitchen provides food to around 50 people, including service users and staff. This creates an inclusive and welcoming environment in which everyone can enjoy hot meals together and chat. The food provided is a major appeal to those that use the service and attracts residents to other services that Disabilities Trust provides. FareShare definitely helps us make a difference – Chef Gary tells us. The food provided by FareShare contributes to at least 3 meals a week per person. This really helps make a difference to providing food to residents. FareShare particularly helps ease pressure on the Trust’s budget, and can save them around £300 a week. Many dinners are created in the kitchen out of FareShare food as they are able to offer such a variety. The Disabilities Trust is, therefore, able to select specific items from what is available, depending on what is necessary at that time. This allows for a varied menu and so a wide range of food is made available by the kitchen staff, including fish and chips on Friday and a hearty roast every Sunday. Breakfasts, deserts and fruit salads are also always available. Click here to find out more about their great work.